What privacy rights should K-12 students be entitled to when using school-owned/-leased devices, if any? 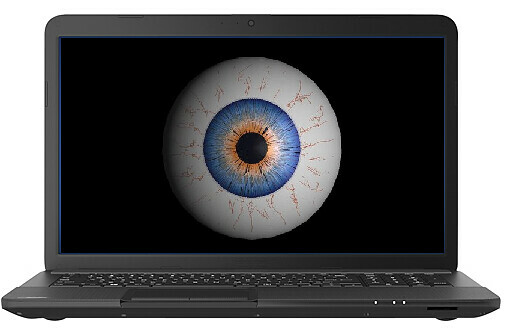 What privacy rights should they have when that use happens at home? Are students entitled to different privacy rights when using the devices for personal reasons (in the cases where such use is allowed or encouraged)? Do students’ family members who use these devices have different privacy rights (in the cases where such use is allowed or encouraged)? 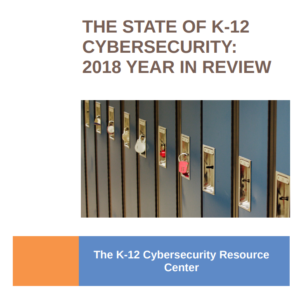 The ACLU of Rhode Island recently issued a report – “High School Non-Confidential: How School-Loaned Computers May be Peering into Your Home” – that raises these and related questions. Based on their analysis of policies of school districts that had gone one-to-one in that state, the Rhode Island ACLU found that by accepting to use such devices students and their families cede all rights to privacy of information and communications occurring on those devices. Moreover, the terms of acceptance and use of these devices can be conditioned on the right of school personnel – at any time and for any reason, without notice or consent, and even in the absence of a judicial warrant – to remotely inspect the device, including potentially to remotely activate the device’s camera and microphone. I am sympathetic to the need for school districts to ensure the safety of students and protect the assets they purchase with taxpayer dollars; however, I believe the ACLU is correct in pointing out that at some point school needs must be balanced by individual civil liberties. What type of society are we creating when on the one hand we celebrate technology’s impact and role on society – and encourage students to pursue careers in that field – while on the other, we threaten to use that same technology to surveil them 24/7, including to capture, log, and analyze all student communications, sometimes even after it has been deleted? Given that wealthier families can opt out of using school-owned computers at home (by using family-owned devices instead), the disproportionate affect on such policies on low-income and minority families is worth careful scrutiny. Given that public school officials appear to be asserting unconditional rights to surveil students digital communications on school-provided devices, is it reasonable to expect that these very same school officials can or will hold school software vendors and third-party service providers to a more exacting standard of student privacy? To me, this seems a very doubtful proposition – and doubly concerning given that all of it is wrapped in the veneer of being in students’ own self-interest. Edtech is all about doing what’s best to help children and youth, indeed. In honor of the annual convening of the Education Writers Association, this week, I admonished education reporters (and editors) to keep their eye on the ball with respect to writing stories about technology for teaching and learning. Nonetheless, this may be a hard sell for some reporters focused on the latest transformative innova…<squirrel>. Otherwise, here’s what caught my eye this week – news, tools, and reports about education, public policy, technology, and innovation – including a little bit about why. No endorsements; no sponsored content; no apologies for my eclectic tastes. A fully funded Title IV would require a federal education budget increase (or offsets). Even the Obama Administration only requested $500M for it in FY17. There are many challenges in the Trump Administration FY18 budget request; Title IV SSAEG has structural problems created by Congress. IMHO full funding would do little to fix what ails it. As it has scaled up from a behavior-tracking app to something much more like a social media platform for schools, ClassDojo may be prototypical of how the business model of platform capitalism is being applied to public education. For more information, check the link and follow @FLOSSDesktops. 'Selfie capitalism:' That front-facing camera is a doorway to the future of big business. For nearly four years, the Kenyan Government has been struggling to integrate digital technology into early years of primary schooling. Digital learning, it says, will improve an education system suffering from quality of teaching and inadequate learning resources. But according to UNESCO, as elsewhere in Sub-Saharan Africa, Kenya’s basic education system has many challenges that include poor infrastructure, overcrowding, sharing of core textbooks and low access to basic sanitation. Adtech oversteps and we get ad blockers. Cell phone surveillance oversteps and we get this: Security researchers have developed a new system called SeaGlass to detect anomalies in the cellular landscape that can indicate where and when IMSI-catchers, cell-site simulators and other devices used in cell phone surveillance are present. Facebook is designed from the ground up as an all-out attack on the open web. Do we really want to put school technology directors and staff on the front lines of youth ‘anti-online radicalization’ efforts? Seems a bad idea to me. Last week, Alabama State Superintendent Michael Sentance announced the formation of a three-person committee to look into the implications of virtual school state law. Instead of deploying urban sensors as instruments of surveillance for technocrats, what if vulnerable communities controlled the gear—and the data? Common Sense Media writes: "If you don’t want to have the bejesus scared out of you, don’t talk to an expert on kids’ online privacy. If you knew what was really out there — online predators, identity thieves, data miners — you’d lock up the internet and throw away the key." It’s the third time in a year that Ethiopia’s digital borders have been slammed shut. In July 2016, the government blocked a significant amount of traffic after university entrance exams were posted online; another block followed in August of that year. The move is a common one across many developing nations: Algeria also blocked access to social media, in June last year, in an attempt to fight cheating in school exams. In the last two years, a new type of training program has emerged in the Bay Area (where else? ), a model without lectures or even teachers. The government aims to deliver 10 million tablets to students and teachers by 2020 and so far, about 1.4 million tablet computers have been delivered. Produced locally, the tablets have 2 GB of RAM and 32 GB of internal memory. They boast a 10.1-inch high-resolution screen, Wi-Fi connectivity and a camera. They also come with educational apps pre-installed. “The end game … is personalized learning,” said Kevin Chavous, a board member and executive counsel at AFC, in response to a question about virtual schools. “We are going to get to this place where as opposed to every child being shepherded into a schoolhouse where they sit in a classroom and where a teacher stands and delivers, and then they regurgitate back … those days are not going to be the future.” This belief in personalized learning dovetails with the focus at another recent conference of education reformers, the New Schools Venture Fund summit. One of the major concerns with the school board at the May 22 special meeting was how to ensure the take-home computers would be used for educational purposes only. How can the district ensure students aren’t using social media sites like Facebook, Instagram, Twitter and other sites like Buzzfeed, Reddit, Tumblr that are not directly educationally related? The Jacksonville Sheriff’s Office’s social media tool, Geofeedia, regularly yielded false alarms about social media use of residents, including of local high school students. Fascinating: Beijing’s new public school allocation policy is starting to seriously influence house prices in some of the capital city’s most-popular districts, after officials admitted that in future gaining entry to a child’s chosen school cannot now be guaranteed. What exactly are students paying for when they pay tuition and course fees if it does not include homework and homework grades? As U.S. children flock to virtual charter schools, states are struggling to catch up and develop rules to make sure the students get a real education and schools get the right funding. As goes CA, so goes the nation: "At the peak of testing on May 9, nearly 500,000 students sat at desk tops, laptops and tablets to take the online tests. While some experienced delays, the testing volume reflected a statewide upgrading of school district computer equipment and Internet capabilities. By the end of the testing period in July, over 3 million students will have taken the Smarter Balanced tests." At some colleges, computer science courses have become a leading source of academic dishonesty complaints. Perhaps a hamfisted approach to the issue of smartphones in children’s lives, the ballot initiative would establish fines on retailers who sell smartphones to preteens after having been warned. The fines begin at $500 and go to a maximum of $20,000 for fifth and subsequent offenses.